The Italian immigration exercised a very deep influence in the Argentine cuisine: among the most common dishes, you will find pasta, milanesa and pizza. Argentine cuisine summarizes all the specialties brought by immigrants and the food from aboriginal cultures. The Italian immigration exercised a very deep influence in the Argentine cuisine: among the most common dishes, you will find pasta, milanesa and pizza. All the “traditional” restaurants suggest meat, pasta and “minutas” (fast food, especially milanesas). What the Italian tradition did not bring, however, was the division of the menu: starter, first course, second course, dessert; Argentina adopted the traditional starter/ main course/ dessert menu. And to accompany the delicious Italian cuisine, there is nothing better than a bottle of good Argentine wine. 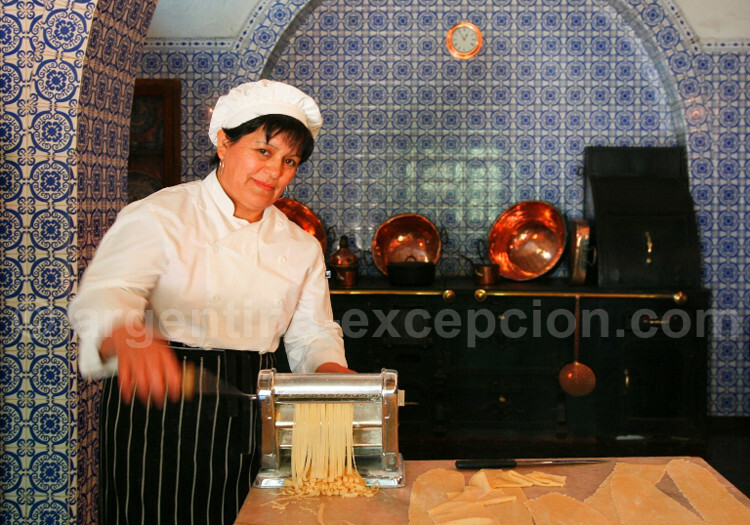 The word “fideos” is generally used to describe dried pasta, and “pasta” to mention fresh pasta. In a restaurant, you will choose the kind of pasta and the sauce separately. Stuffed pasta is particularly tasty: ham and mozzarella sorrentinos, ricotta agnolottis, spinach ravioli… are the specialties as well as lasagna and cannelloni which are rarely stuffed with meat but with vegetables or ham and cheese. 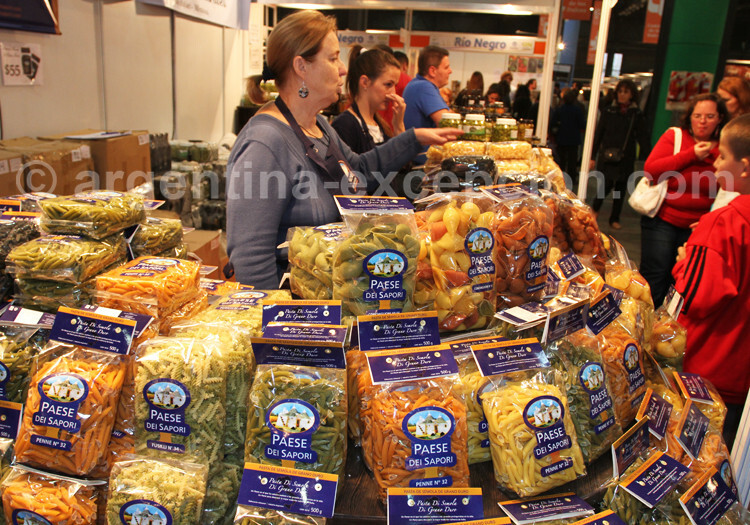 In Buenos Aires, there are fresh pasta stores everywhere. Noodles, spaghetti, macaroni are sold by weight and ravioli are sold by box. In the stores you may also buy home-made sauces (tomato, pesto…), grated cheese or parmesan cheese, as well as empanadas and pizza dough. You should ask about the cooking time because it changes depending on the type of pasta. Pasta does not last long but may be stored in the freezer. Many families make their own pasta. Different from other pasta that is usually made with wheat flour, gnocchi are made with potatoes: you have to make mashed potatoes first, and then add flour, cheese and butter. Then, you will make small fork-striated cylinders that are cooked in salted boiling water like any other type of pasta. Ricotta gnocchi are widely found in the surroundings of the Río de la Plata. Argentine peculiarity: Gnocchi are eaten on each 29th day. It is a ritual whose origin has not been clearly established. a religious tradition related to Pantaleon day? Celebration of Saint Peter and Saint Paul’s day for Italian immigrants? Gastronomic meeting of Argentine journalists at the end of the 1970s? Nobody knows and cares but on the 29th is “gnocchi day” because it is the third from the last day of the month, the day prior to getting the salary when the wallet is empty. Another habit: you should put a money note under the plate and you will receive good fortune. Another Argentine peculiarity is that the word “ñoqui” is used to refer to those fake beneficiaries of employment, especially in public offices. In other words, those who are paid for doing nothing and that only appear at the end of the month to get the salary! Another Italian dish turned into an Argentine national dish that is even more eaten than grilled meat. A basic milanesa is a very thin veal cutlet marinated, soaked in egg and then coated with grated bread. It is fried, soaked with lemon juice and accompanied by salad, French fries or mashed potatoes. You can do them yourself or buy them prepared at a dairy product store. The art lies on the way to golden the milanesa without leaving it too dry or too fatty… Milanesas can be prepared with chicken or soy for vegetarians, and there are many options for accompaniments. This dish from Naples was imported to Argentina as to many other countries around the world. As everywhere in the world, there is good and bad pizza with thin and thick dough, and with all the possible and imaginable combinations to season it. 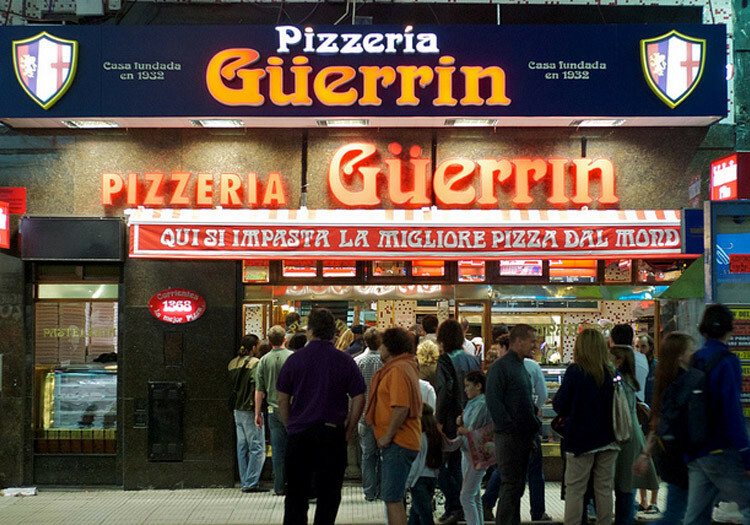 In Buenos Aires, you can buy pizza dough in pasta stores or in the supermarket. Some restaurants make grilled pizza on the embers. A slice of faina, a pie made with chickpea flour, is served before or with the pizza, however this tradition is losing followers. 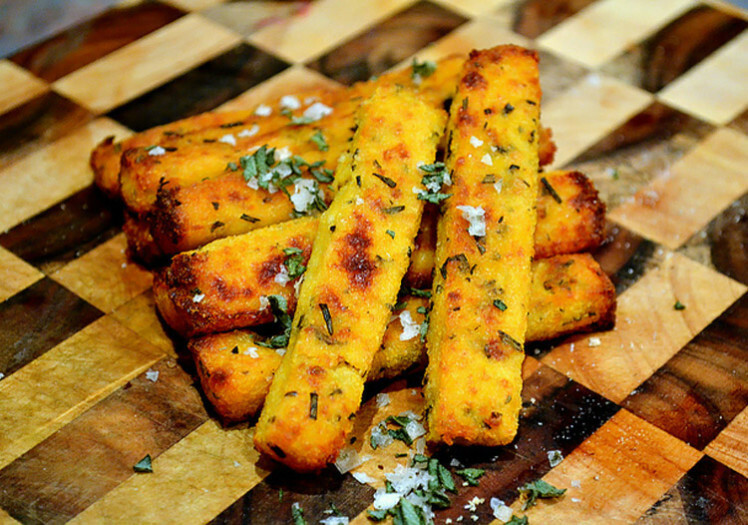 Polenta is still a traditional dish from the familiar cuisine in Argentina based on corn flour and water or milk. 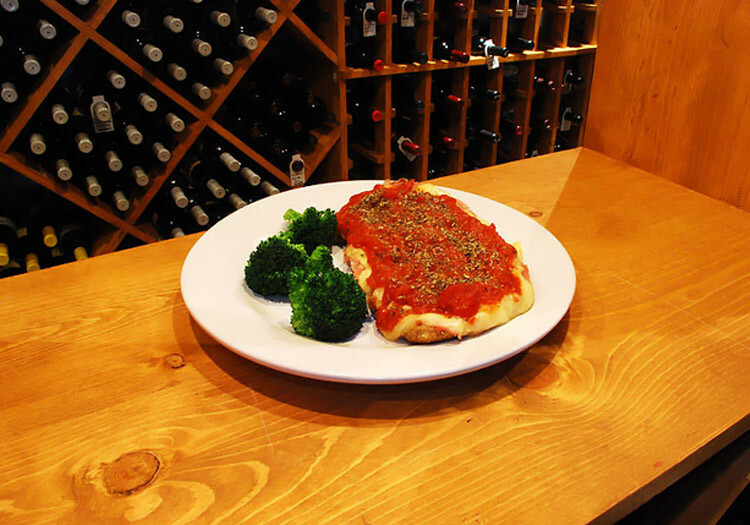 You can eat it alone or with sauce (tomato, Bolognese). Variations: you can cut it in pieces and grill it in the oven. 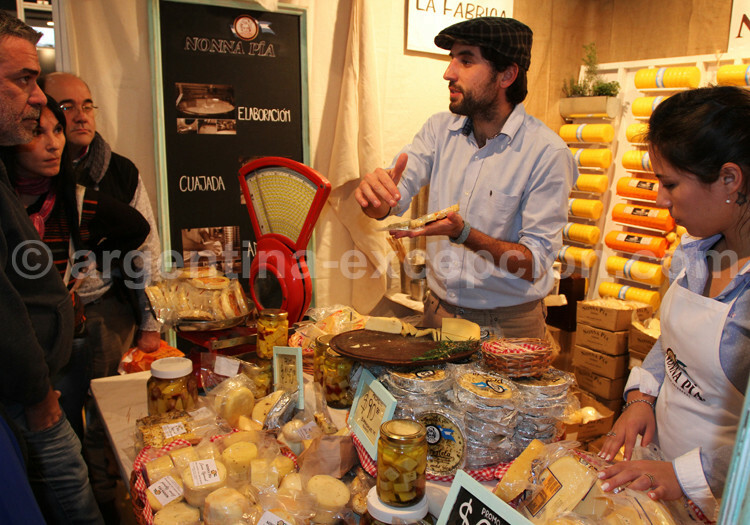 The majority of Argentine cheese is inspired in or from Italy: parmigiano, sardo, reggianito, mozzarella, ricotta. 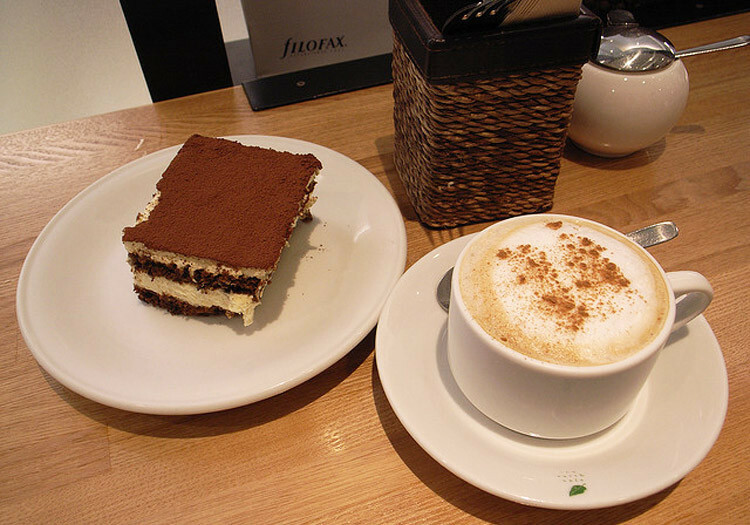 Italians imposed tiramisu, sabayon, ricotta pie, bitter almond macaroni, panna cotta, panetone for Christmas (called pan dulce) in the Argentine cuisine. Hand-mad ice-cream is also part of the Italian tradition with thousand flavors and absolutely delicious. A must-try in Argentina: dulce de leche ice-cream. In Argentina coffee is drunk as in all other countries of South Europe: with a drop of milk. In bars and pubs it is usually served in the Italian manner: with a small glass of sparkling water and a biscuit. Lemoncello and grappa are very widely drunk in Argentina, but not as much as Gancia and Fernet-branca, a bitter digestive herbal-based drink. It was imported by the Italian immigrants and nowadays it is manufactured locally. Gancia is a bitter aperitif based on wine and herbs. You should try it with lemon juice, sparkling water and ice; it’s very refreshing.